Gloved to ward off the possibility of a nasty bite, Berkeley biologist Robert J. 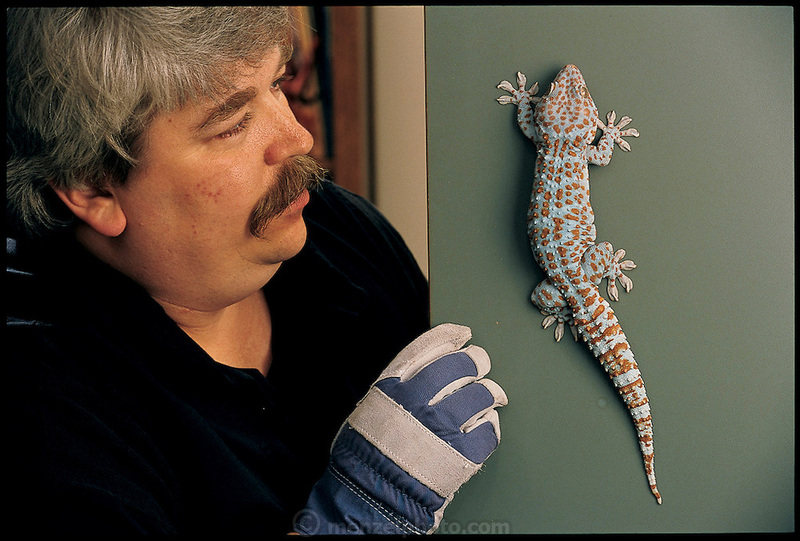 Full prepares to pluck a gecko from his office door. A source of inspiration to roboticists around the world, Full's Poly-PEDAL laboratory is one of the premier research centers in the field of animal locomotion. (Polypedal means "many-footed"; PEDAL is an acronym for the Performance, Energetics, and Dynamics of Animal Locomotion.) UC Berkeley (California) From the book Robo sapiens: Evolution of a New Species, page 91.